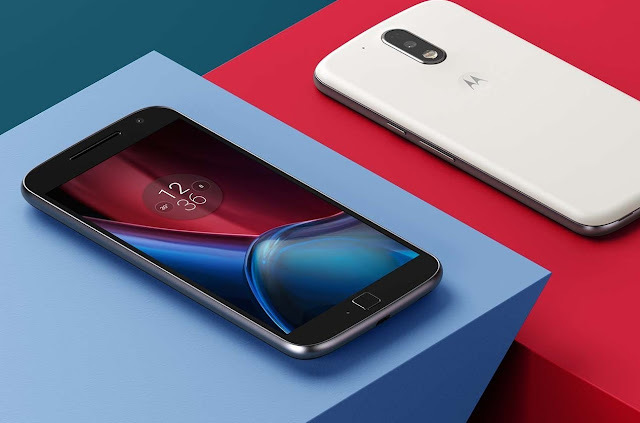 Motorola at its New Delhi event on Tuesday launched the fourth generation Moto G smartphone in India in two variants, as expected, the Moto G4 and Moto G4 Plus. Motorola has not revealed the Moto G4 price in India, or its availability details. The Moto G4 Plus on the other hand has been priced at Rs. 13,499 for its 2GB RAM/ 16GB storage variant, and Rs. 14,999 for its 3GB RAM/ 32GB storage variant. It will be exclusively available from Amazon from Wednesday (Tuesday midnight) in Black and White colour variants. The company said pricing of the Motorola Moto G4 will be provided closer to launch. The Moto G4 and Moto G4 Plus are nearly identical in terms of specifications, however, there are slight differences. The Android 6.0.1 Marshmallow-based Motorola Moto G4 Plus is a dual-SIM (Micro-SIM cards) smartphone that features a fingerprint sensor on the home button. It bears a 5.5-inch full-HD (1080x1920 pixels) display with a pixel density of 401ppi and Corning Gorilla Glass 3 protection. The smartphone is powered by a 1.5GHz octa-core Qualcomm Snapdragon 617 (MSM8952) SoC coupled with an Adreno 405 GPU and a choice of either 2GB or 3GB of RAM. You have seen the performance of the Moto G3 cameras. Now, imagine the next generation of these powerful cameras. Yes, with Moto G Plus,4th Gen you can expect a better and more efficient photographic experience. The 16 MP primary camera has double auto-focus technologies to ensure that you never miss a moment again. The phase detection and the laser focus system works faster to enable you to effortlessly capture more. When it comes to low-light photography, you can completely trust the Moto G Plus,4th Gen.
Move over password protected phones. Now, the Moto G Plus,4th Gen features an exclusive finger print scanner to secure your phone from any kind of probable misuse. This unique lock not just makes your phone exclusive only to you but is also extremely easy to use. All you need to do is touch your phone and it detects your fingerprint and unlocks automatically. This feature is extremely convenient to use since it works just with one touch anywhere on the screen.Faster and Smoother Performance. The Moto G Plus,4th Gen is powered by octa-core processor which makes it efficient and powerful. The octa-core processor accounts for the fast and smooth performance, so that no matter how many apps you run, your phone will still function smoothly without any lag. 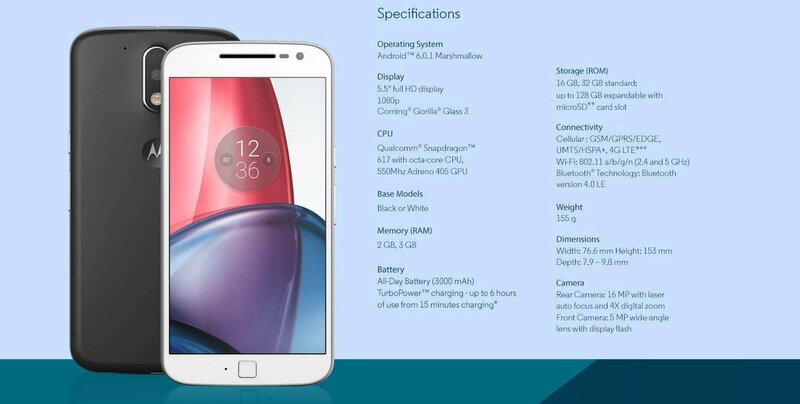 The package includes a turbo charger for the Moto G Plus,4th Gen which charges the phone at a lightning speed. With this special turbo charger you can charge the battery to last you up to six hours in just fifteen minutes. The 3000 mAh battery is also well equipped to last you longer than usual. So, without any further delay, shop for this model from Amazon.in and avail exciting launch offers.